This paper is concerned with the giving a generalization of statistically limit inferior and statistically limit superior defined in . Properties of and is given for a function defined on time scale . 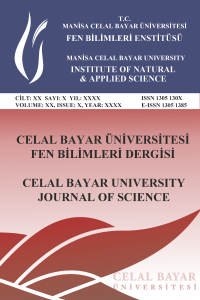 Seyyidoğlu, M.Seyyit; Tan, N.Özkan, On a Generalization of Statistical Cluster and Limit Points Advances in Difference Equations, 2015; 2015:55.